I've been reading this forum for a long time and it has been a great help. 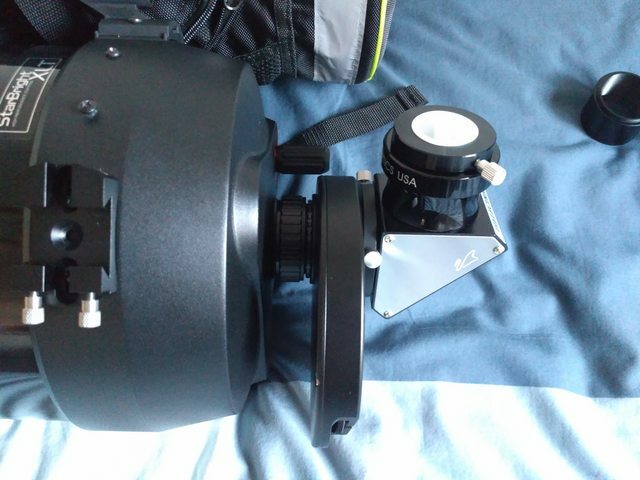 One of the many things I looked for here was how to attach a 2'' filter wheel to a SCT. I picked several ideas, so it's fair to share with you what I am using. Maybe it's helpful for others, who knows. I have a SCT 2" diagonal. It has a M48 female thread and a swivel adapter from M48 to SC thread. 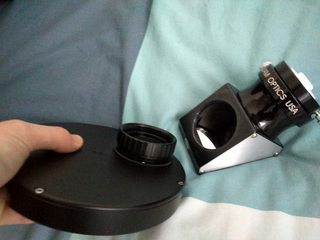 I have removed this adapter from the diagonal and placed it in the filter wheel, which has a M48 female thread too at the telescope side. The adapter is very short and it is rotatable, exactly what I wanted. It's not as comfortable as a click lock, but I use it at the beginning and at the ending of the session, so not a big deal. Besides, it is included with the diagonal so we can save some money (and it's shorter than the baader click lock). Next. 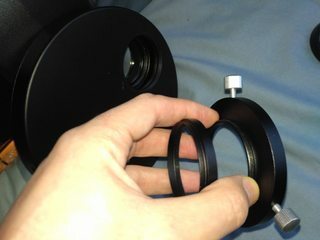 I have to assemble the 2" diagonal to the filter wheel. I thought in using a baader click lock, but I wanted something shorter and still rotatable. I chose a 360º M48 quick exchanger. This exchanger has a part with a M48 male thread, so it can be screwed directly to the filter wheel (it has a female M48 thread at the eyepiece side). However I put a 5 mm spacer in the middle. 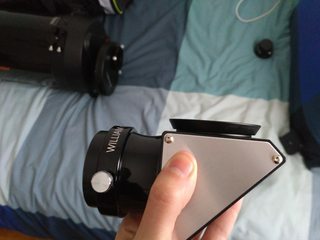 Otherwise, the diagonal would be too close to the filter wheel and there could be clashes when using large eyepieces. The other part of the quick changer is a conic part with a M48 female thread. Thus, it is needed a male-male adapter in order to connect it to the diagonal. We have one adapter for free, because the filter wheel includes this kind of adaptor and we didn't use it before. It's 1 mm long. 2 mm would be better though to avoid clashes between the quick changer bolts and the diagonal body. 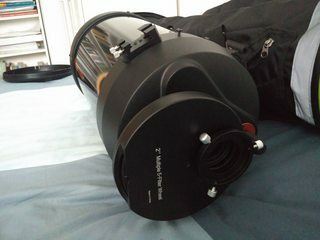 The total length is roughly 160 mm from the sc thread at the back of the telescope to the top of the diagonal's 2'' - 1,25 '' adapter. M48 male-female adapter, 5 mm optical length. To be used as a spacer. M48 male-male adapter. 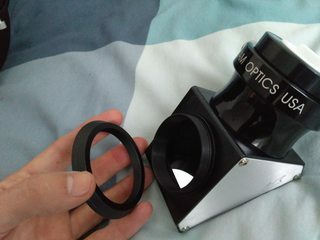 1 mm optical length is included with the filter wheel, but I advise to use a 2 mm one. PS2: Click on the pictures to see them full size. Edited by Pelayo, 16 January 2019 - 05:53 PM.